The crisscross lace-up detailing that defined Dior's Fall 2014 collection will be everywhere this spring (more on this trend to come! 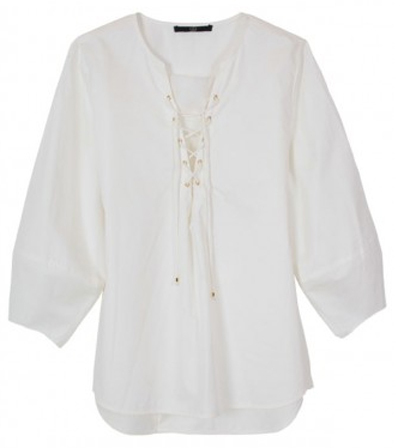 ), and I'd like to jump on it now with this poised-to-be-a-staple white blouse. 3 and 4 - please and thank you! Love this pair of shorts!